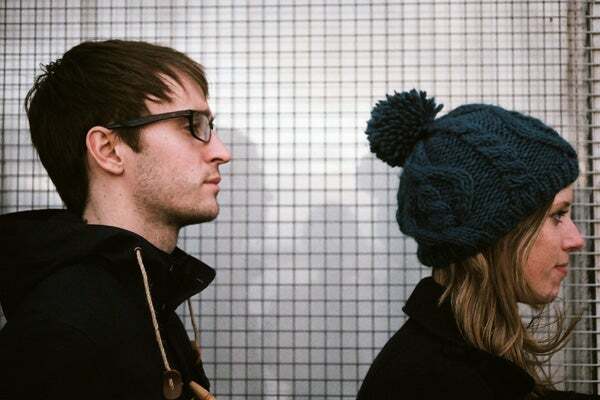 This Is Our Jam Premieres: Ryan Vail, "Fade"
Hailing from Derry, Northern Ireland, Ryan Vail is actually a duo comprised of Ryan Vail and vocalist/flautist Katie Cosgrove. Together, the two create analog synth-pop, with a somber bent and starkly personal lyrics. The band's new single "Fade" should please fans of James Blake or those looking to relax on a rainy day. Over a soft keyboard, a syncopated beat, and the ebb and flow of sampled waves, Vail sings, "Look now, you found love again." According to Vail: "Fade is our most chilled-out release to date. I wanted to write something that I could put the headphones on and relax to. Something beautiful with plenty of space and atmosphere that would draw people in." "Fade" is the first single form the band's new EP, to be released via Belfast-based label Champion Sound this April. Listen to the wonderfully bittersweet track below, preferably with your best headphones and a warm cup of tea.